If it's Valentine's Day, then there must be a few Valentine's decorations around the house! 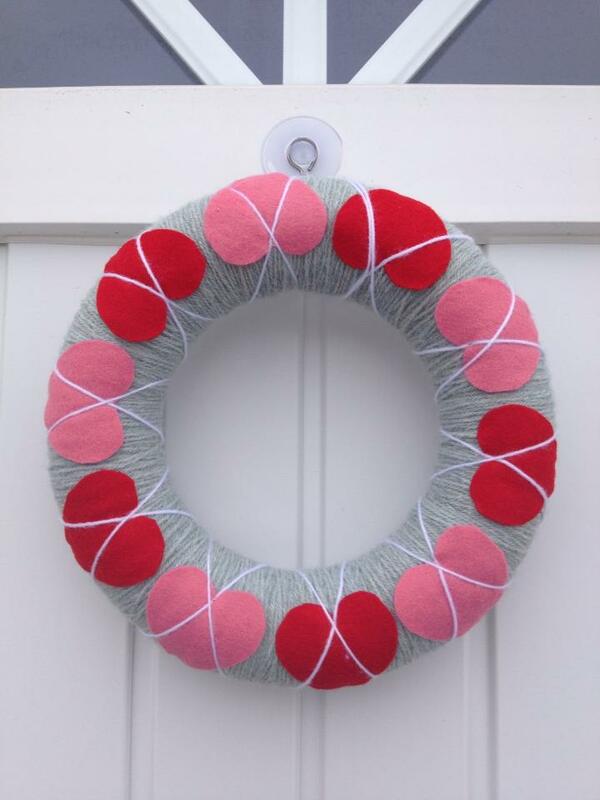 So this year, I thought to make one of my favorite wreaths..the simple and easy yarn wreath..
A simple but cute layout..all you need to make this is a polyester ring, grey yarn, white yarn and 8-10 pink and red felt hearts. Of course you can choose your favorite colors..but make sure..it's a passionate color...cause' that's what Valentine's Day is all about..Passion! Pune-ti o semnatura pe foto pentru o mica protectie.